When people come to visit me in Costa Rica I’ll often jokingly say, “Be careful, you’ve been bitten by the bug and the symptoms will keep growing on you.” By the “bug,” of course, I mean the desire to be in Costa Rica as much as possible once you’ve set foot here once. Take David Harris, for example. David was born and bred in California and spent almost 30 years as an elementary school educator in California and Washington State. But his curiosity about Costa Rica goes back further than that. “In the 7th grade I did a detailed report on Costa Rica and was fascinated ever since,” he says. “Then, in 1998, I visited Costa Rica with a friend for the first time and confirmed everything I had researched.” After that visit he was hooked. 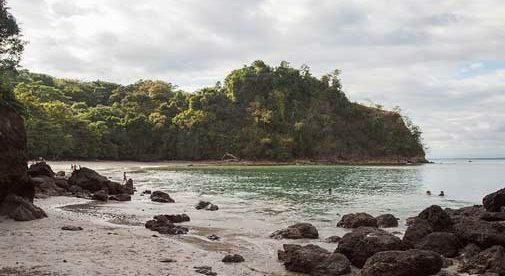 He decided to retire early and take a reduction in pension, calculating that, along with his Social Security, it would provide adequate income for living in the Quepos-Manuel Antonio area on the Central Pacific Coast. 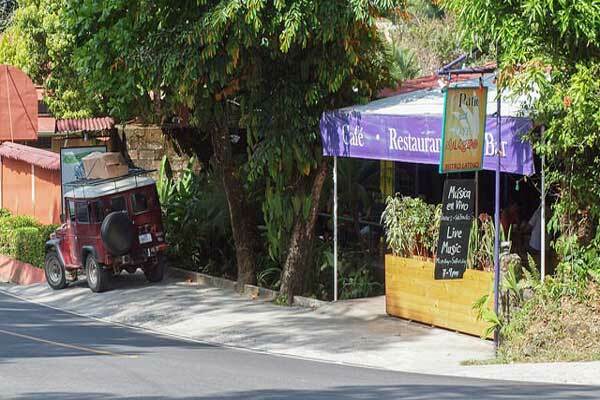 Manuel Antonio, on Costa Rica’s Central Pacific coast is popular with expats. David made the move by himself in 2000. He stuffed his car with personal goodies and had it shipped down to Costa Rica to meet him. He had enough savings and investments from his career to allow him to buy a lot on the beach as well as to invest in a boutique hotel. He would later sell the hotel but hold on to the beach lot. Unfortunately, in the interim, the lot was declared part of the Maritime Zone, an area restricted from any kind of building. Thankfully, David instead found a modern 2,500-square-foot, two-bedroom home on top of Manuel Antonio hill. He fell in love with it and bought it. Since then he has converted one of the bedrooms to a rental apartment with a separate entrance. He rents it out for about $350 a month, and the renovation cost him less than $2,000 using local labor. David suggests new expats are better off renting a property for a year until they educate themselves about owning property here. He also has praise for the national healthcare system. “In 2009 I had a stroke that nearly killed me,” he explains. “I was air-lifted to San José where I remained in a coma for two weeks. After that it was months of physical therapy at the Quepos Hospital. Now I’m back to as normal as I can be and very grateful to the doctors, nurses, and technicians in the Costa Rica healthcare system.” David has regular preventive healthcare check-ups at the Caja (the local name for the health system) located at Quepos Hospital. On a regular day, David loves to take long walks at dawn through his neighborhood with his two boxers, then all the way down to the beach. He reports the dogs love the walk and the beach.